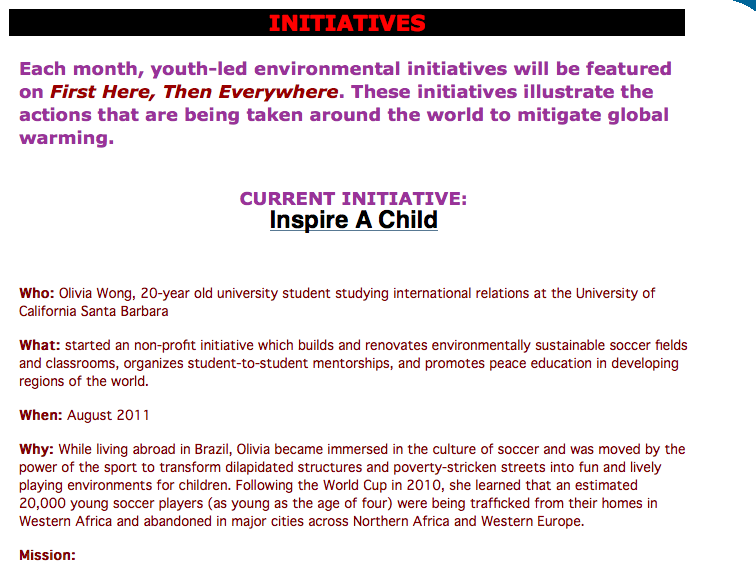 Inspire A Child, a venture founded by Olivia Wong, is now featured on FHTE! Inspire A Child seeks to bring sustainability and education to rural areas in developing countries. 24 hours to stop Keystone XL!